Was Hillary Tipped Off About DOJ Investigation Into ‘Alien Smuggling’ That Might Involve Her Actions? HRC is an evil, slimy, lying witch and if America is stupid enough to elect her, then we are truly going straight down the toilet bowl. So who is this about and what is being said here? Let’s start with who the players in the email are and where they were in March 2015, the time the email was sent. Matthew Miller is a partner in the firm Vianovo since 2011. But prior to that, he was, as he says in his own bio, “Director of the Office of Public Affairs for the Department of Justice, leading the Department’s communications team and serving as Attorney General Eric Holder’s spokesman.” He had been communications director for the Democratic Senatorial Campaign Committee, whose purpose is to increase Democrats in the Senate. He also had been communications director for Sen. Robert Menendez. Jennifer Palmieri had been the communications director for Obama’s White House and had just moved to become Hillary Clinton’s communications director. Hence Hillary was the ‘new boss’ meant to get the ‘heads up’ and prepare for what news would be breaking in the next week for which she and Palmieri might want to prepare. MIAMI — The Obama administration overturned a ban preventing a wealthy, politically connected Ecuadorean woman from entering the United States after her family gave tens of thousands of dollars to Democratic campaigns, according to finance records and government officials. Estefania Isaías had been banned from entering by diplomats because of her alleged involvement in ‘alien smuggling’. Sen. Robert Menendez and Hillary Clinton were responsible for lifting the ban on her. Let’s go back to the Miller email from March 2015. The NY Times article was from December 2014. What was Miller warning Palmieri and Clinton was coming? On April 1, 2015, Sen. Robert Menendez was indicted for pressure to approve foreign visas. The State Department said Wednesday it didn’t have a response to questions about the visas. 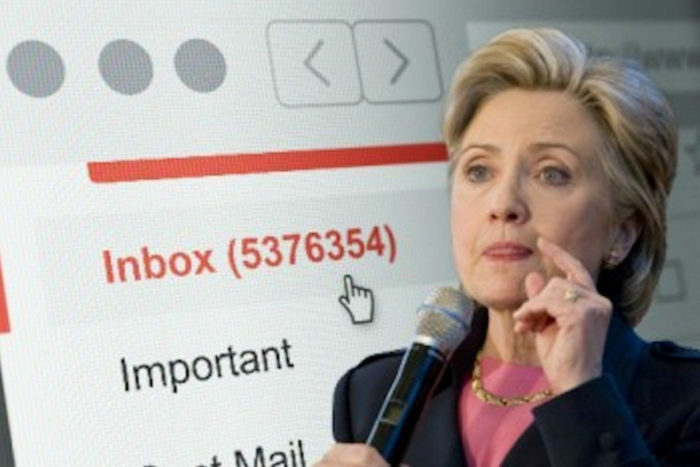 The email said this ‘head’s up’ “will affect your new boss [Hillary Clinton] so you have time to put together a plan for it […] Won’t be breaking news until next week, but likely big enough you’ll want to plan for in advance”. So what was the information Matthew Miller, who had been Eric Holder’s spokesman and Director of the Office of Public Affairs, had, who did he get it from and did he pass it on, as the email would suggest, to Palmieri? Did he inform Palmieri of the coming indictment or surrounding information? Leaking of an investigative action out of the DOJ giving a potential target the opportunity to prepare of plan would be highly improper and potentially illegal. It also would be again indicative of the all-too-cozy relationship between DOJ, which is supposed to be non-partisan, and the Democrats and the Clinton campaign.